From Sir Walter Nuts and Candy. Between these and the chocolate covered strawberries, one of my favorites windows in town. 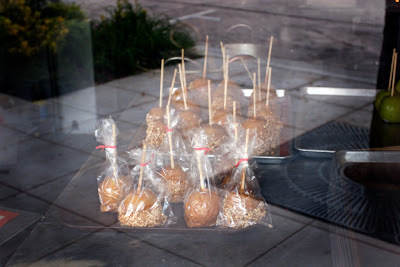 I like reflection on window glass, and I love those caramel apples. They taste at least as good as they look. Thanks for visiting!